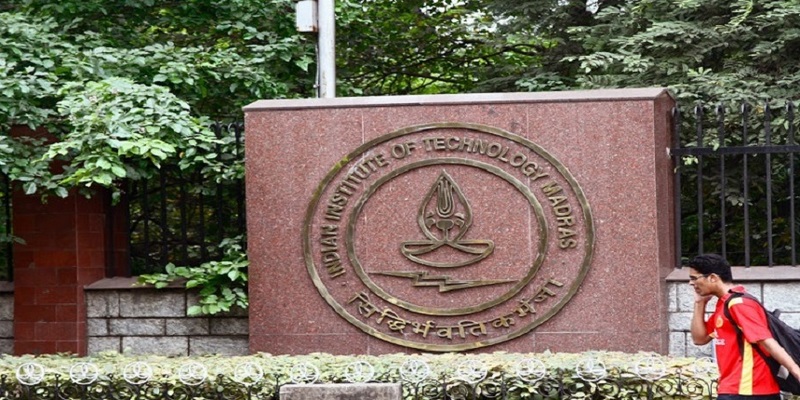 NEW DELHI, APRIL 08: The Indian Institute of Technology Madras has bagged the top rank in the National Institutional Ranking Framework (NIRF) 2019 launched at Vigyan Bhavan by the President of India. The Indian Institute of Science (IISc), Bengaluru and IIT-Delhi have bagged the second and third spots. IISc Bengaluru is ranked first in the University Category, IIT-Madras is ranked first in the engineering category, IIM-Bengaluru has topped among management institutes, All India Institute of Medical Sciences (AIIMS), New Delhi came first in the Medicine Category and Delhi’s Jamia Hamdard is leading the pharmacy category. This time again institutions have been ranked in nine categories namely Overall, Universities, Engineering, Colleges, Management, Pharmacy, Medical, Architecture and Law. IISc secured an overall top score of 82.16 to bag the first rank, while Indian Institute of Technology Madras, Chennai with a score of 81.39 bagged second rank and Indian Institute of Technology Bombay, Mumbai ranked third with an overall score of 79.20. R. Subrahmanyam Higher Education Secretary, MHRD informed that this year 4867 institutions participated in the Ranking against 3954 in 2018. For the first time, Ministry of Human Resource Development (MHRD) has launched, Atal Ranking of Institutions on Innovation Achievements (ARIIA) to systematically rank all major higher educational institutions and universities in India on indicators related to “Innovation and Entrepreneurship Development” amongst students and faculties. Assessment of innovation and startup ecosystem in HEIs will be based on seven parameters Budget, Expenses to Support & Revenue Generated; Infrastructures & Facilities to Support Innovations and Start-ups; Awareness Activities for Promoting Idea Generation and Innovation; Promotion and Supporting Entrepreneurship Development; Intellectual Property (IP) Generation, Technology Transfer and Commercialization; Innovative Learning Methods & Courses; Innovations in Governance of the Institution. The IIT-Madras has bagged the top position in the ARIIA Ranking followed by IIT-Bombay and IIT Delhi, overall 10 Government Funded Technical Institutions (GFTIs) have been awarded for their Innovation and Entrepreneurship Development work. Five private universities have also been awarded in the same category, VIT Vellore has been judged best, KIIT Bhubaneswar and SRM Institute of Science and Technology – Chennai are at the second and third position. In the NIRF Indian Rankings, the institutions are ranked based on broadly five parameters, which are Teaching-Learning and Resources (TLR), Research and Professional Practices (RPC), Graduation Outcomes (GO), Outreach and Inclusivity (OI) and Perception (PR). The five parameters with a ranking weightage given to each are then used to arrive at an overall ranking for the institutions. In the 2018 Rankings, IISc Bengaluru was ranked number one in the overall category as well as in the University category. IIT Madras was ranked best in the Engineering category, IIM Ahmedabad was adjudged as the best institute in the Management category. Law and Medical and Architecture Rankings were introduced for the first time in 2018 and National Law School of India University, Bengaluru; AIIMS, New Delhi and Indian Institute of Technology Kharagpur was at the top in their respective categories. Miranda House has retained its top position as the best college in the country, Hindu College and Presidency College, Kolkata are at the second and third position. In the previous year’s Ranking of Colleges, Miranda House was ranked best followed by St. Stephen’s College at the second spot and Bishop Heber College at third (rank was later ‘Withdrawn’). The Government of India launched the National Institutional Ranking Framework (NIRF) in 2015 to rank higher education institutions across the country.